“Request message has unresolved parameters” .Please suggest ? That’s my bad. Here URL requests are case sensitive. In the blog I have mistakenly written Crm instead of CRM. try this and it should work. Its working fine.There is one more typo above. Do I understand correctly that this is in context with a specific account record based on? Please help me understand how to modify this to work in context with the currently viewed account record. 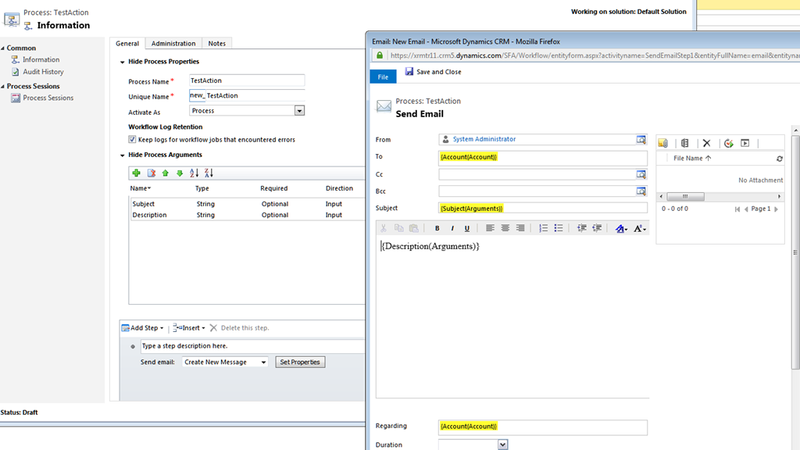 The action that I used in this demo is tied to an account entity. So it always needs to be called in context of an account record. Really like the example provided and this is the first site that included the global action URL. Does Microsoft have this documented somewhere? Also, I’m going to need to use an Entity input parameter and I’m curios if you could provide an example for this. 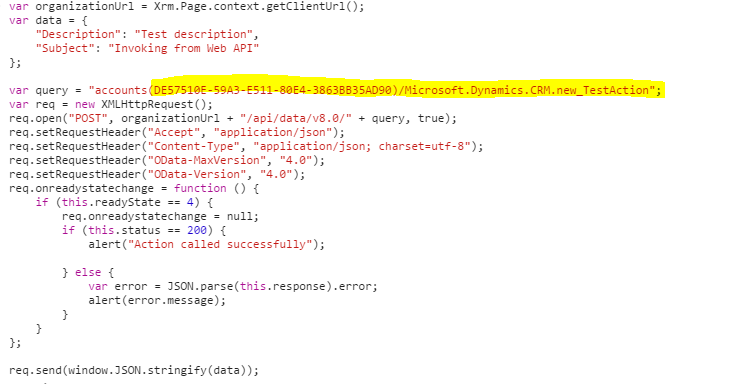 When I wrote this article it was early crm 2016 days and I had to literally trial and error to find out how it works. However SDK is lot more updated and you should have this documented in SDK by now. regarding the entity parameter, I will try this for myself and get back to you on this. As you and couple of readers asked for, I have written a blog to pass an Entity as input parameter. This might be of help to you.